Enemy army is coming! Their soldiers have hard armor and their tanks seem to be never-ending. 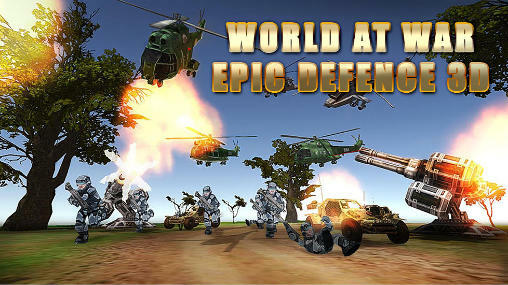 Only your tactful guidance can help – assume command at World at War : Epic Defence 3D and make good execution! HOW TO PLAY: You can see your current point balance at the points panel. Make smart use of it – place shooting towers to stop enemy invasion. Show your builder skills by choosing right location. BY the way, you can change it later. You can also try air attack. Destroy all the enemies and you’ll win! • Earn points to build more towers.